Finally! Consumable Hardware Comes to Windows! It’s nice that someone finally got the message: consumer devices need to look good. 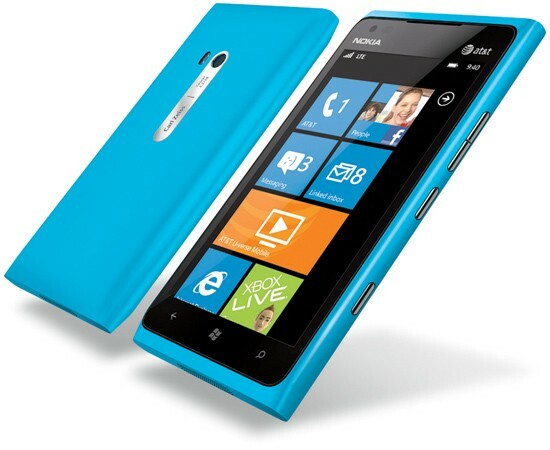 I actually had the chance to play around a little bit with a Lumia phone before it was announced back in September. I was very impressed with it overall. The speed was excellent — nothing herky and jerky at all — and the device felt great in the hand. Finally, I thought, a device I’d carry if I wasn’t carrying an iPhone. It will be interesting to see how the market for smartphones change over the next year. And for all of you who think this war has been won, according to Tomi Ahonen (through Asymco.com), smartphone penetration of the worldwide cell phone market has reached 10%. When the PC market was 10%, Amiga, Apple II, Atari and Commodore 64 all still had significant market share. Still a long way to go in this battle. That last paragraph is a great reminder 🙂 I find i need that one often. Even though I like apple products I would like more of similar quality. Have you played at all with the windows phone dev tools? I haven’t but I’ve heard they’re quite well done. I’m optimistic about win8. It has been a long time but Microsoft’s dev tools were always very good. I keep bringing that last paragraph up. It is still so early and yet we all think that Google and Apple have won. If you look at the numbers you’ll see that the market share numbers for smartphones were never as tilted as those for PCs, which is even more of a hint that this thing is far from over and meaning that it is even more unlikely that one vendor will dominate like Windows did in PCs.